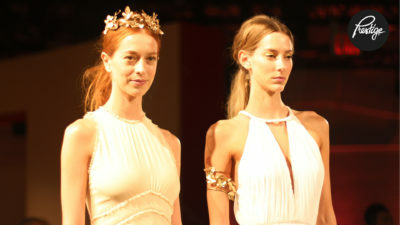 The fashion industry is buzzing over whether Versace copied the American Apparel T-shirt created by British-born designer Kesh. The Los Angeles based designer shared images from Versace’s spring / summer 2015 collection expressing her disgust over the obvious copy of her work. 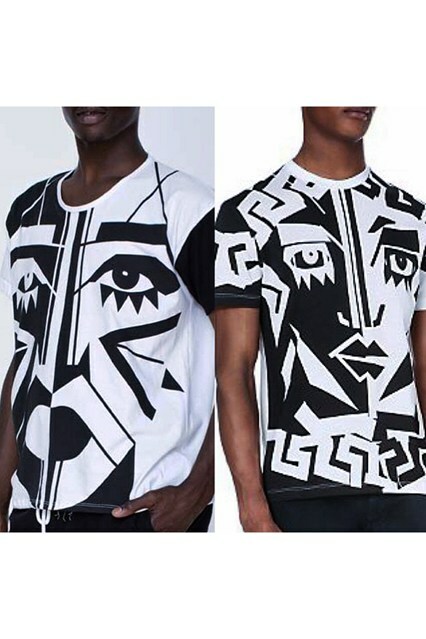 They are currently selling out at Selfridges for $650 per T-shirt, two years after Kesh debuted her original high-fashion street version for less than $ 30 per T-shirt. 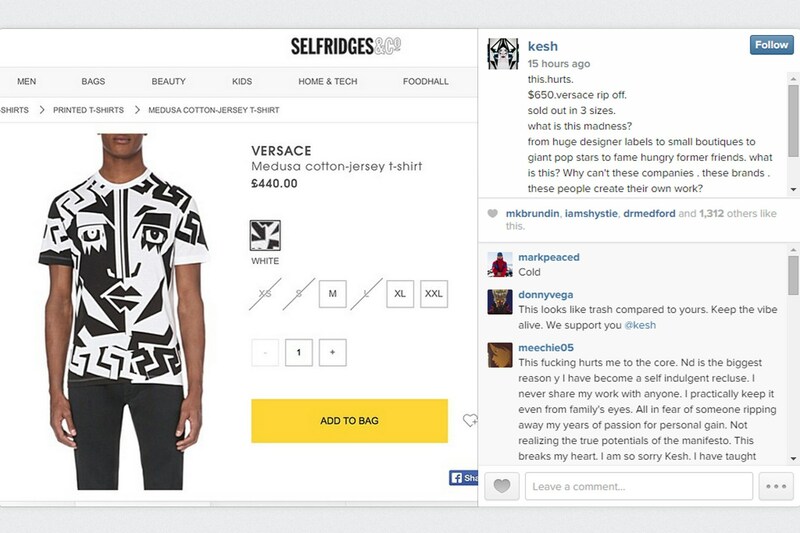 “This hurts,” Kesh said via Instagram, accompanied with a picture of the Versace version of the T-shirt on the Selfridges website. “$650 Versace rip off. Sold out in three sizes. What is this madness? From huge designer labels to small boutiques, to giant pop stars, to fame-hungry former friends. What is this? Why can’t these companies, these brands, these people create their own work? What happened? Why do these people think that everything that they lay their eyes on instantly belongs to them? 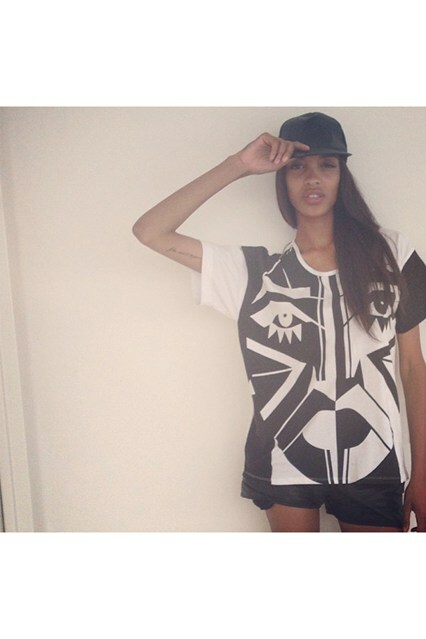 The original T-shirt designed by Kesh – who’s real name is Kesshia Kumari – was presented as artwork in a collaboration with American Apparel for their spring / summer 2013 collection. Kesh released a statement to New York Magazine stating,”This collection was made from the original artwork from my first solo show”. Kesh’s representatives have confirmed that litigation will be the next step,”Kesh is absolutely going to sue”. 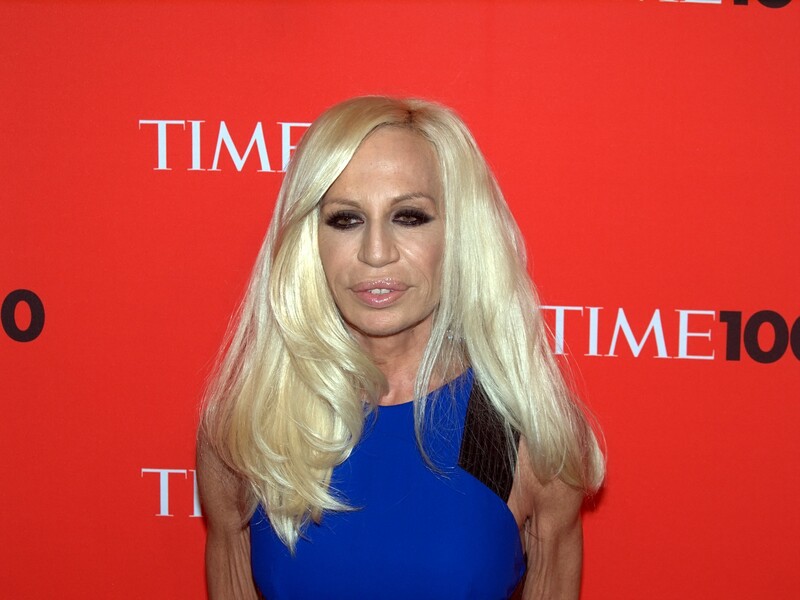 The offices of Versace had no comment. So, what are you thoughts regarding this battle over design? Do you think that the T-shirts are similar?